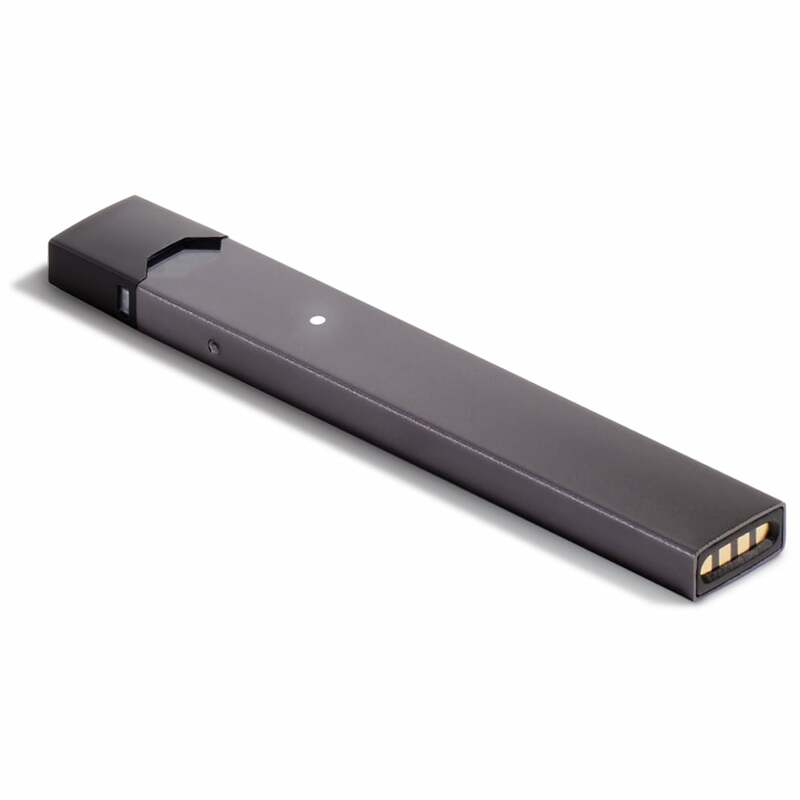 This is the new and improved JUUL V3; it features improved charging points and delivers an even more satisfying draw! If you're searching for the most up-to-date model of the JUUL Starter Kit, look no further! How much is a JUUL in 2019? We sell the most up-to-date model of the JUUL starter kit, the JUUL V3, for $48.95 with free domestic shipping, and for a very affordable price. If you're looking to buy a JUUL cheap, you're in the right place! For cheap JUUL pods, you can also take advantage of our multibuy deal. Which version of the JUUL device do you sell? The Electric Tobacconist only sells the latest version of the JUUL device. This is currently version 3. Great kit but do not care for the nicotine flavor. Vaporizer Starter Kit was returned . I rate this product as being very poor due to the "discrepancies in charging" . (Manufacturer instructed charge time 1 hour) as opposed to ET charge time of 4 hours. This discrepancy caused the unit not to display a light which ultimately led the item to be returned as faulty. Exactly what I was looking for when trying to stop smoking cigarettes. The mint gives me the hit that i was looking for in an alternative source of nicotine. I can see why it might be ideal for a very light vaper (as in the user of the vape) because it is very simple. Few options, plug-and-go, and you can just pitch the pods when you are done. I do also like that it has a battery life indicator. Beyond that, I understand none of the appeal. The device does not hold a charge for even a day, the pods taste burnt, and they are really expensive. I can easily go through one a day and I wasn't even a pack a day smoker. I also continually had to take the pods out and "re-pressurize" them and get the bubbles stuck around the base of the coil to float to the top. It hits well a few times after that and then you must repeat the process. A beginner vaper could buy a much better quality product for the same price. This thing is just a bunch of hype. I'm only giving it two stars instead of one because it is the first vape pen that got me to quit smoking cigarettes (using the 5% pods - the 3% ones are gross and don't seem to actually have the stated amount of nicotine). Excellent! So easy to use and is nice and compact! Charles very quickly! I love it! Great little starter kit that provides the opportunity to try out the product without having to make a major investment! Would highly recommend this product. Easy to use and charges quick. Great alternative to smoking. Ordered the Starter Kit and it was a great value for the price. Fast delivery! Great lil vape pen. Wish they had more flavs. They are pretty good but there are 1000's of juices out there and people have their favs. Good draw somewhat similar to cig.Lightweight,stealthy,like ez to use charger (cords can be cumbersome) charges fast,decent batt life,pods don't hold much and get expensive,they can be opened to refill but a pain. Excellent start vape for noobs. My order is shipped and received on expected date. The Juul kit and pods have been life saving. I smoked cigarettes which made my room smell like a dirty ashtray. The day I received my Juul was the very second I gave up tar. It’s light weight like a cigarette. No pushing buttons. You take a draw. I have another vape I like better but this will suffice as a back up! I love JUUL. I use “BLANKZ” pods with mine and fill them with “Don’t Care Bear by BAD SALT”. They’re refillable and get better hits than the original pods plus you save money. I also use a “FUUL” rechargeable portable JUUL charger for when it dies. Great product. It is an awesome setup. I find it helpful to quit smoking. A little harsh, but once you get used to it, it's Ok. I love it but...One suggestion...Started kit should have a 3% & 0% nicotine cartridges in it. Very nice packaging. Great look and price for a starter kit. The Juul is just too harsh for me to use, I don’t enjoy the feeling of using it and the flavors that came with the Juul in the Kit I wish I could’ve changed. I know that 2 out of the 4 flavors that came with it I will never use, and the third flavor I don’t enjoy particularly either. I was delighted to find this web site. I wanted to thank you for your time reading this wonderful! I really enjoyed every bit of it and I've marked to ensure that the site something new. It is really fantastic. keep sharing with us such nice posts. It gives a serious throat hit. I feel like this will be the product help me to quit cigarettes.